Also known as the Lone Star state, Texas is known for its natural resources, large population and leading centers of higher education. There are a number of colleges and universities in the state that offer a number of opportunities for higher education. Ranging from the associate to PhD programs, students interested in nursing can find a number of nursing degrees in Texas that may help them acquire skills essential in the field of nursing. How much do Registered Nurses make in texas? RNs generally work in nursing homes, hospitals, clinics, schools and home healthcare offices. According to O*NET OnLine, Texas will have about 9,460 projected annual job openings for registered nurses between 2010 and 2020. The median annual pay for RNs in the state (2013) was $67,860 (BLS). 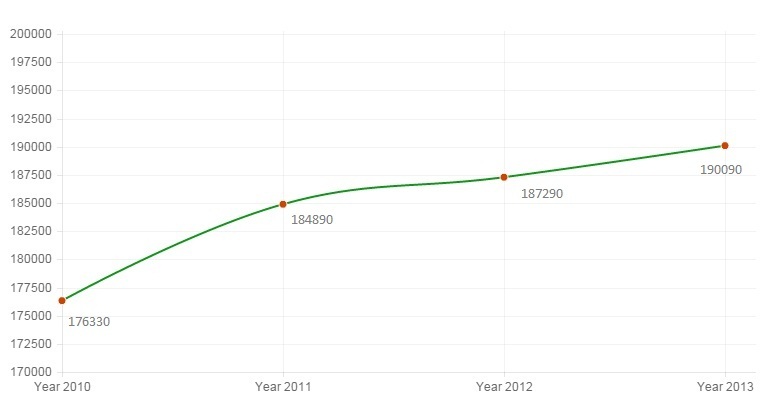 Employment growth rate for the registered nurses in the state is 8% (2010 to 2013). 7% of all RNs in the United States work in Texas. For employment, Texas is the 2nd best state for RNs.